Imagine someone illegally living in a vacant house in your neighborhood. 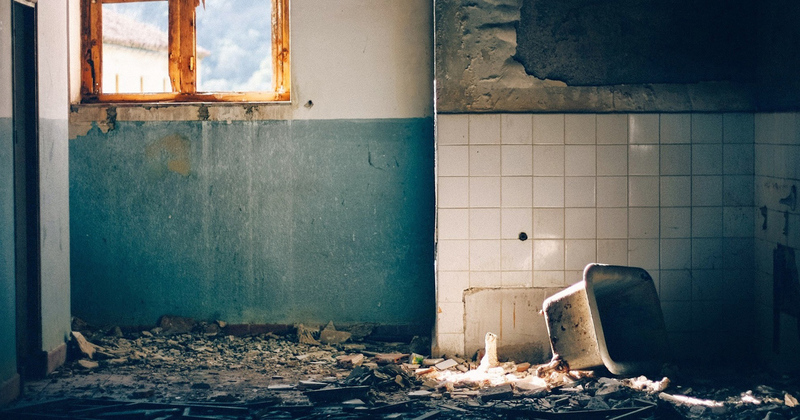 Worse yet, what if the squatter trashed the house, ripped out the copper pipes, left rotted food in the refrigerator, made holes in the walls, and broke the toilet into pieces? High-end property is not immune to squatters. A woman recently lived in a vacant, foreclosed $1.5 million home in Wicker Park for two years before she was finally removed by court order. The newly built home had five bedrooms, five baths, an in-home theater, a sauna, and a rooftop deck. In 2011, the builder lost the property in foreclosure. In 2013, MB Financial finally managed to get the squatter out of the residence. How do the squatters find these empty houses? Sometimes, the squatter simply sees a realtor’s For Sale sign on the lawn. Then the squatter just moves into the property. In other cases, the squatter pays one month’s rent, moves in, and waits to be evicted. It can take months to formally evict the squatter. Meanwhile, the squatter has the opportunity to trash the place. In the article at https://wgntv.com/2018/08/06/serial-squatter-trashes-chicago-area-homes-with-few-consequences/, Tromaine Langham, a former landlord, described the damage a squatter had done to his property: “The conditions when I got there were just deplorable,” Langham remembers. “I walked in and there was broken glass, broken windows, closet doors, bedroom doors smashed. Maggots were just all over the kitchen and in the stove area. I had to totally gut (it) and get that replaced.” All in all, he said, it was $52,000 worth of damage. Squatters seem to feel no remorse for the damage they have done. A squatter in Dolton posted videos and photos to her Facebook page, bragging about her “new homes.” She also left a framed selfie in the bedroom of one of the homes she had trashed. A few weeks after she was formally evicted, she came back to the house, kicked in the door, and broke all the windows. To see a Channel 23 ABC News video called Woman catches squatters moving into her home—You Tube, go to https://www.youtube.com/watch?v=deIjxerh3s4. Say you’re flying into O’Hare Airport and want to get to downtown Chicago. What are your options? Currently, you have five options. You could take a CTA train for $5.00 or less and get downtown in forty-five minutes. You could take a taxi for around $40.00 and get there in twenty-five to ninety minutes. You could use the shuttle van services for over $25.00 and arrive downtown in twenty-five to ninety minutes. You could hail a rideshare such as Lyft or Uber for $35.00-$50.00 (surges to $140 or more) and get there in twenty-five to ninety minutes. 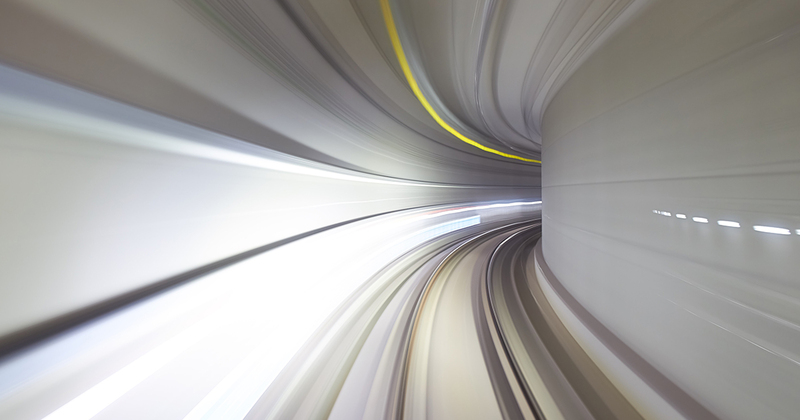 In 2011, Mayor Rahm Emanuel resurrected the idea of a high-speed rail line from downtown Chicago to O’Hare and in 2016 hired outside engineers to help explore the possibility for the high-speed rail line. Enter Elon Musk, the billionaire tech entrepreneur. On June 14, 2018, Mayor Rahm Emanuel announced that Elon Musk’s Boring Company had been selected from four competing bids to provide high-speed transportation between downtown Chicago and O’Hare Airport. Musk’s Boring Company would dig a fourteen-feet in diameter tunnel from downtown Chicago to O’Hare. Lined with interlocking concrete pieces, the tunnel would contain self-driving electric vehicles called “skates.” Each “skate” could transport sixteen passengers at speeds from 100-150 m.p.h. Under Musk’s proposal, it would take just twelve minutes for passengers to get from O’Hare to downtown Chicago at an estimated cost of $25.00. The estimated cost of the project is almost $1 billion. Who is going to pay for this? Elon Musk says his company will pay for the entire project. “In exchange for paying to build the new transit system, Boring would keep the revenue from the system’s transit fees and any money generated by advertisements, branding, and in-vehicle sales,” Rivkin said. To see a video Elon Musk’s Boring Company To Build Express To O’Hare, go to https://www.youtube.com/watch?v=24yqz0jZVaw. A study by the New York Post, reported at http://nypost.com/2017/07/06, revealed that participants reported spending $58 per month on haircuts, hair products, and shaving supplies. That figure was based on spending $34 for a haircut and $15 for hair products. If you have long hair and have gone to a beauty shop recently, you know that figure is much too low. A more realistic figure would be $80 for a color, trim, and set/blow dry plus a 20% tip. There is no doubt that Americans love their hair. Here is the question. Would you shave your head to raise money to fund research to find a cure for pediatric cancer? Wow! That’s a hard question to answer, especially if you’re a woman. We’re used to seeing men with shaved heads, but it’s different with a woman. Then there’s the practical consideration. Hair only grows half an inch a month. That’s only six inches in a year. For a woman with long hair, it would take years to regrow that much hair. Besides, even during that time, the hair would need to be trimmed every six to eight weeks to keep the ends from splitting. People sometimes ask about the name of the St. Baldrick’s Foundation. Is there a real St. Baldrick? Apparently not. According to the article at https://www.stbaldricks.org, the name “St. Baldrick’s” is a combination of the words “bald” and “St. Patrick’s” since the first event was held on March 17, 2000, which is St. Patrick’s Day. The head-shaving events generate the most money and publicity for St. Baldrick’s Day, but corporate sponsors are also very important to the foundation. In addition, donations of goods or services such as office supplies, event T-shirts, advertising space, and printing help keep expenses down. Volunteers are also essential to the success of the foundation. If your child has cancer and needs pediatric private duty nursing, call American Home Health at (630) 236-3501. The agency can provide round-the-clock nursing by Registered Nurses (RNs), Licensed Practical Nurses (LPNs), and Certified Nursing Assistants (CNAs). Our service area covers fifteen counties in Northern Illinois including Cook, Lake, McHenry, Boone, Winnebago, Ogle, Lee, DeKalb, DuPage, Kane, Kendall, LaSalle, Grundy, Will, and Kankakee. American Home Health is licensed by the State of Illinois and accredited by the Joint Commission. For further information, go to www.ahhc-1.com. To see a video of a head-shaving event, go to Mackenzie Shaves Her Head for Charity—St. Baldrick’s—March, 2012 YouTube at https://www.youtube.com/watch?v=lxB9Inq9Apk. 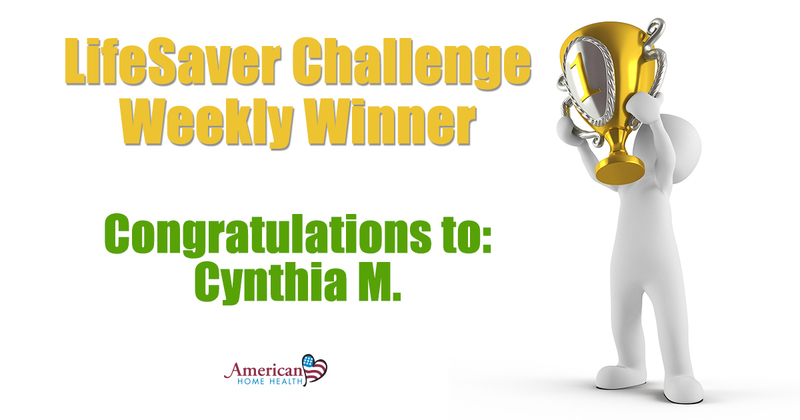 I’d like to congratulate our weekly winner Cynthia M. Cynthia lost 0.80% of weight. Keep up the good work Cynthia. I personally had a great week, and lost a total of 1.42% of body weight. Looking forward to next week’s results. How many jobs have you had during your lifetime? Did you have a 401(k) at any of these jobs? What happened to the 401(k) when you left the company? Do you remember? In June, Senator Elizabeth Warren of Massachusetts sponsored a bill with Senator Steve Daines of Montana to create a “retirement savings lost-and-found,” a searchable database for abandoned retirement accounts. This bill is awaiting action by Congress. It is very important to keep track of your retirement accounts throughout your working career. Every account, no matter how small, adds up. You will need this money in your retirement years. What should you do with your 401(k) when you leave a company? Experts advise anyone with a 401(k) from a former employer to roll it over to an IRA or a current 401(k), to avoid losing money. Having too many small accounts just complicates your life. Make sure the old account is set up for your current circumstances. If you were married when you had the account, your spouse would automatically be the beneficiary unless he signed off on a beneficiary designation form to remove himself. If you are divorced now, you need to change the beneficiary election form. Contact your IRA or current 401(k) plan to get this done correctly. Your 401(k) money will be a very important part of your income during retirement. The new searchable data base could help you get your financial affairs in order. Have you received a telephone call from a stranger claiming to be from Microsoft? The caller says that Microsoft has identified a problem with your computer. He wants to help you fix it. What should you do? HANG UP! 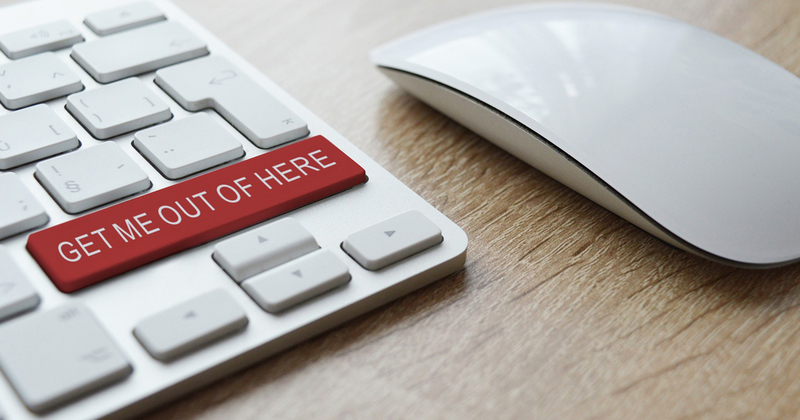 In the past few years, scammers have utilized phone calls to unsuspecting individuals to try to get access to personal computers. Their goal is to take over your computer so they can make changes to your settings that could leave your computer vulnerable. They may ask for your credit card number so they can bill you for phony services or things you could get elsewhere for free. They may try to trick you into installing malware that could steal sensitive data such as user names and passwords. These scammers are persistent. Even if you tell them you are not interested and hang up immediately, the scammer or another person will call again and again and again. Sometimes they call twice in one day. Don’t try to reason with them. Don’t talk with then. Just hang up. To see a video about this scam, go to ‘Microsoft tech support scam’ You Tube or https://www.youtube.com/watch?v=ViWbc1yxJxl.